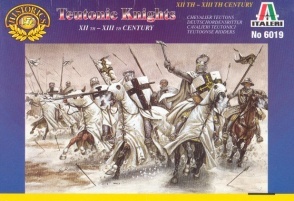 6019Teutonic Knights. Released 1999. 17 mounted figures and 17 horses unpainted plastic figures. Material Plastic.